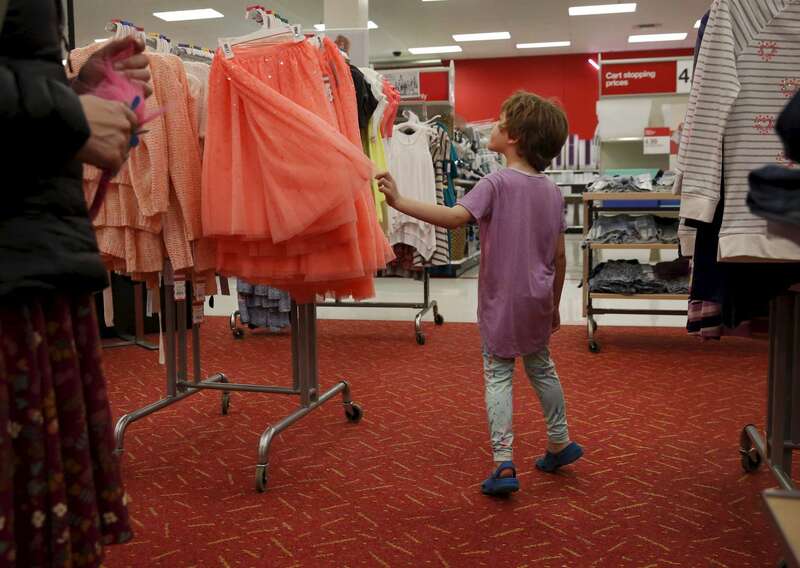 Olivia Kaplan, 4, drifts through the girls' clothing section during a trip to Target to find formal clothes for James Feb. 17, 2017 in Berkeley, Calif. Olivia, James' sibling, had been describing herself as trans for much of the past year since her brother came out as a transgender boy. Sara and Ben decided to brush it off to see if it was just something she was saying to copy her sibling. But it became apparent over time that it was very real to Olivia. She has always been a feminine child and she finally shouted at her parents that she was a girl at the beginning of the year. They cautiously allowed her to begin the transition. As of June, 2017, Olivia is still happily presenting as a girl. Sara and Ben plan on doing what they have for James: provide a supportive space for their children to be themselves whoever they turn out to be later in life.